His fifth green jacket was his first in 14 years, and his first major victory in nearly 11 years. 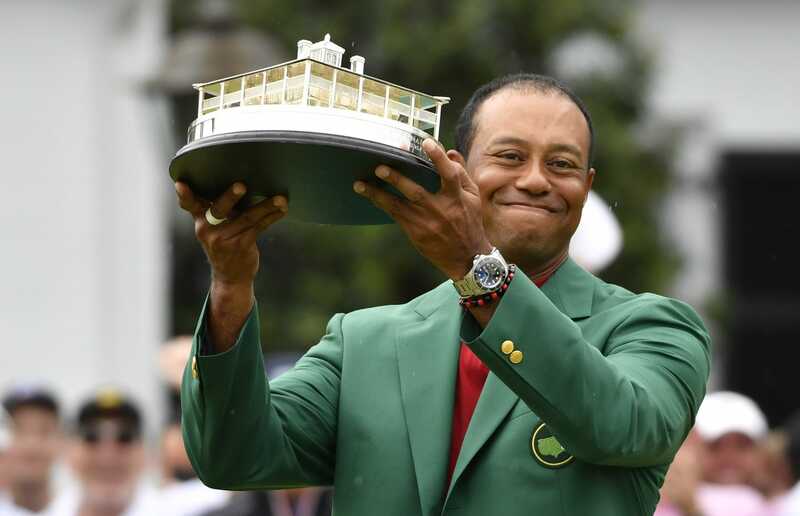 Woods became the oldest Masters winner since Jack Nicklaus in 1986. I happened to stumble on this in a bout of bored channel-clicking. I realized that “Tiger Woods” is the only answer to why I would sit inside on a nice day and watch someone else play golf. He may not be 5 ahead of the field like in his glory days, but it was fun to see him win one again – and with his son watching this time. Fave early memory: one of the commentators (an old caddie, I think) said that if he tried to use Tiger’s swinging motion, his “groin would fly off”.